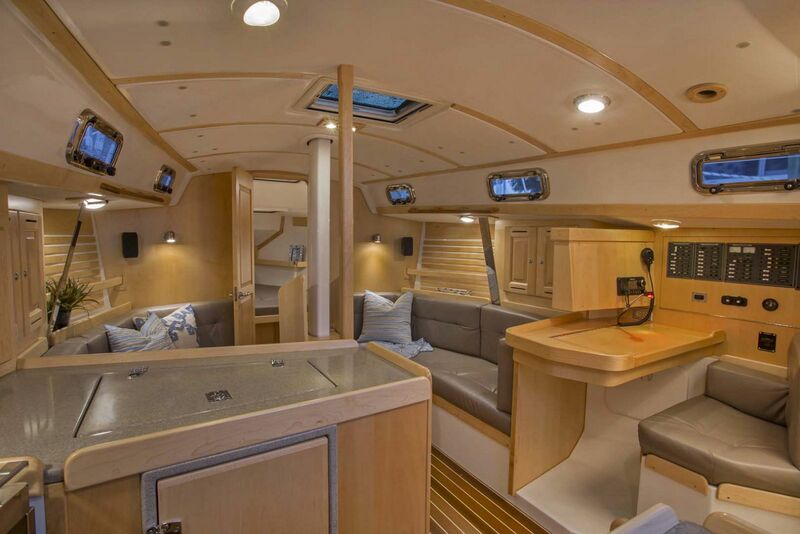 The Tartan Yachts 345’s high-volume hull form provides enough space for exceptional cruising accommodations, storage, and a powerful shape that is easily driven and in-balance over a wide range of sailing conditions. 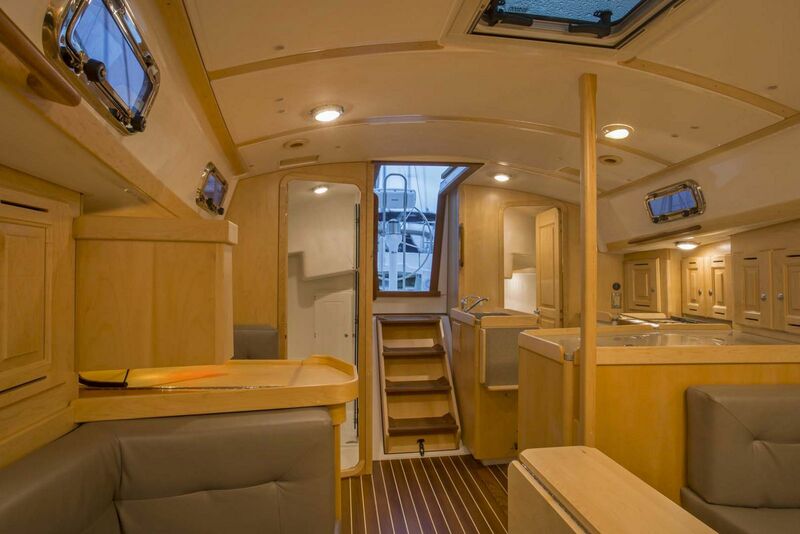 Forward sections are positioned so they provide an easy motion in a seaway while her aft sections are full and flat offering high speed potential in heavy conditions. 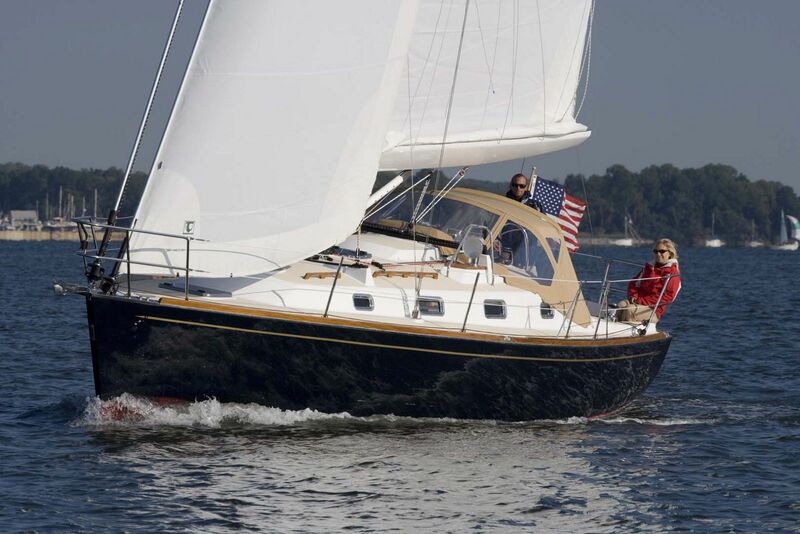 The hull’s volume is evenly distributed through her length, which provides a symmetrical shape at all heel angles and maintains her light helm in more challenging conditions. 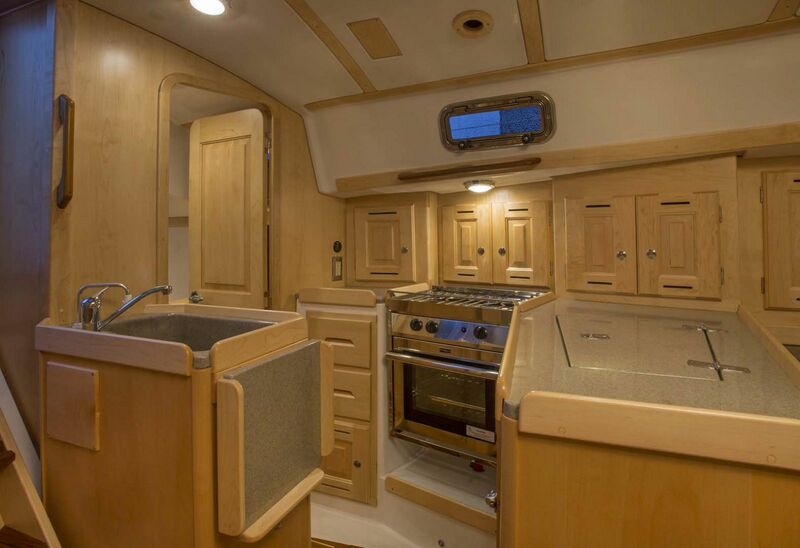 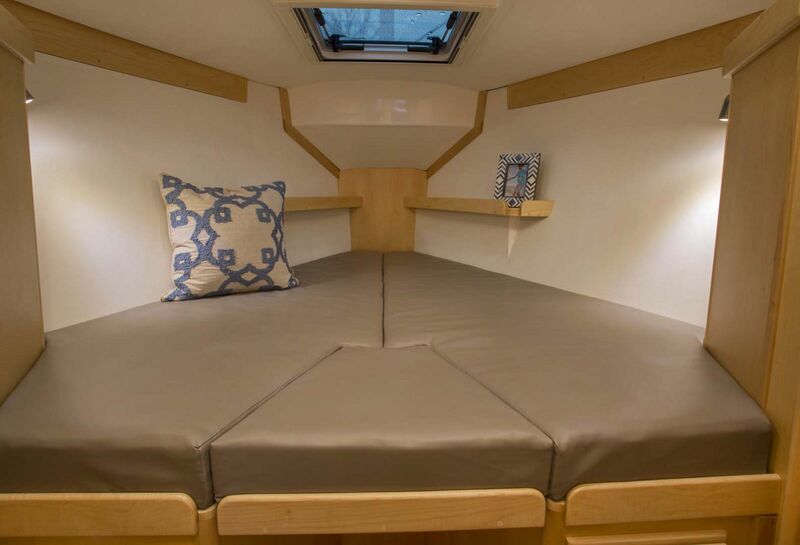 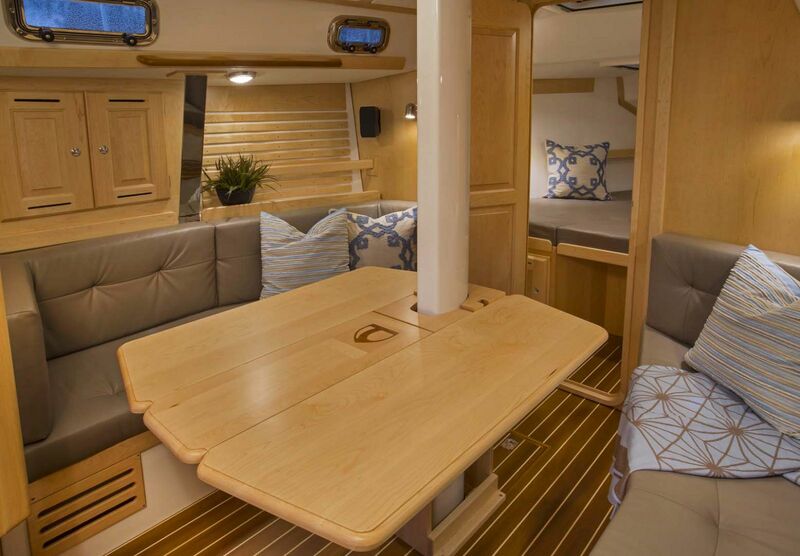 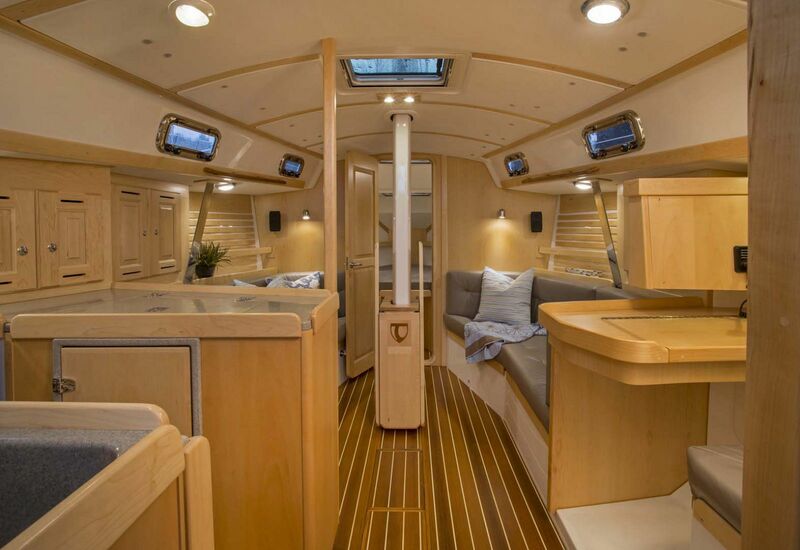 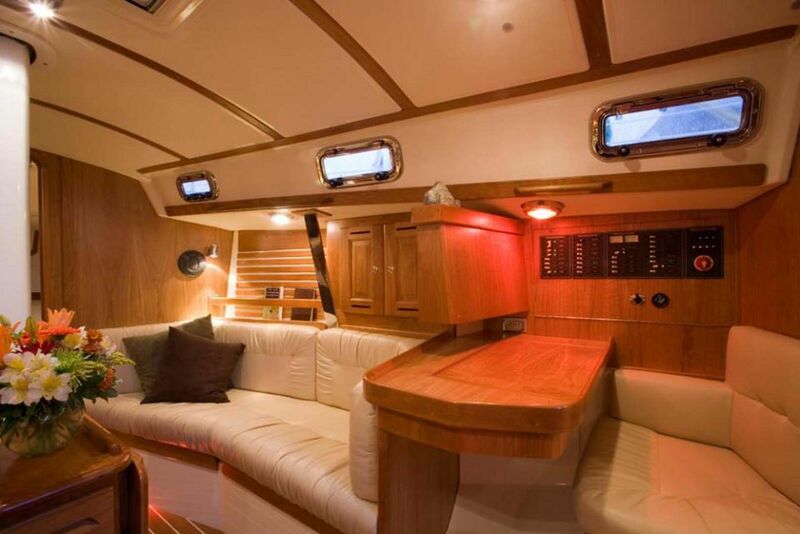 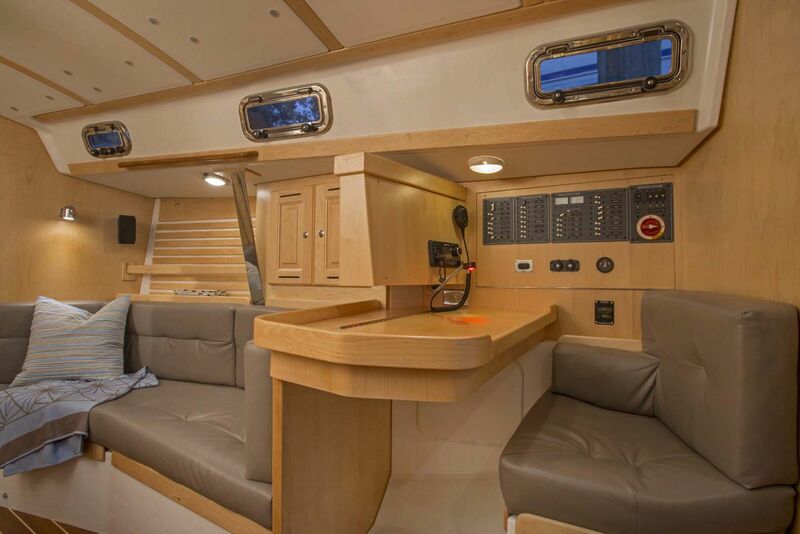 The Tartan 345’s deck utilizes our custom vacuum resin infusion process, which employs high-strength BPA epoxy resin, unidirectional E-glass and select grade, sealed end grain balsa coring. 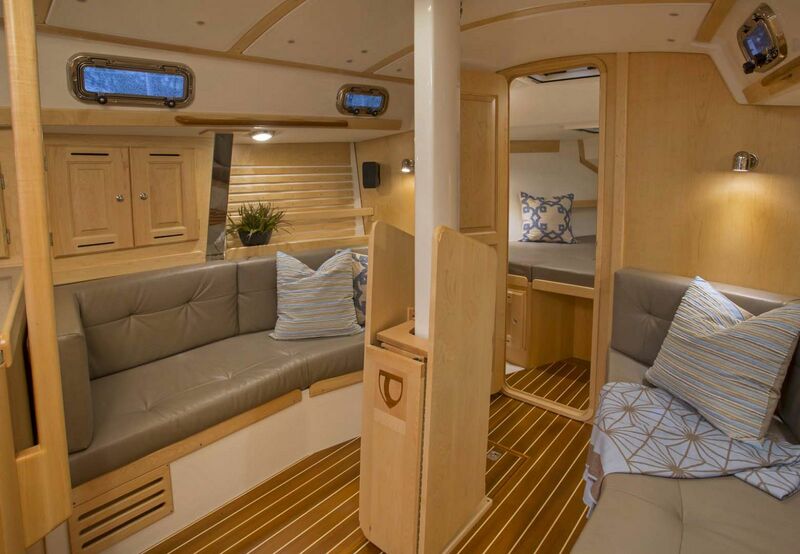 Hardware is fastened to the deck with stainless steel machine screws that pass through reinforced, solid glass core windows and are tapped into 6061 T6 aluminum-backing plates. 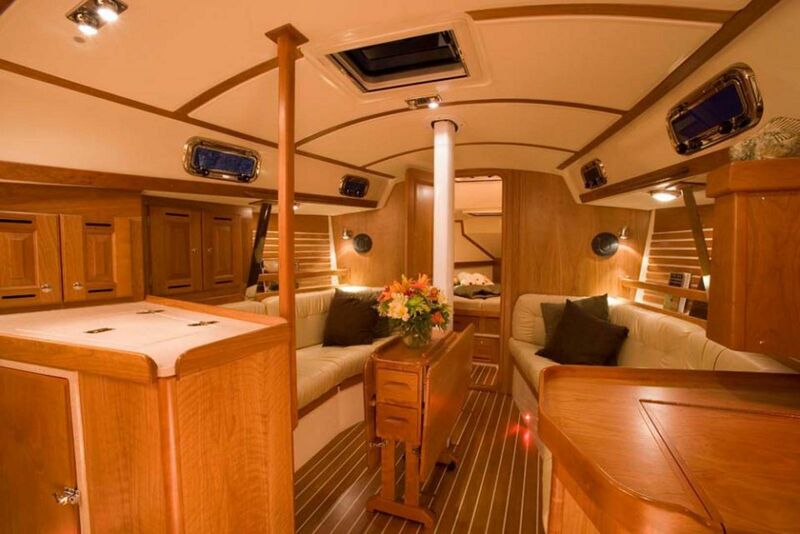 Beyond incredible strength and longevity, this installation allows for “on-deck” servicing of deck hardware. 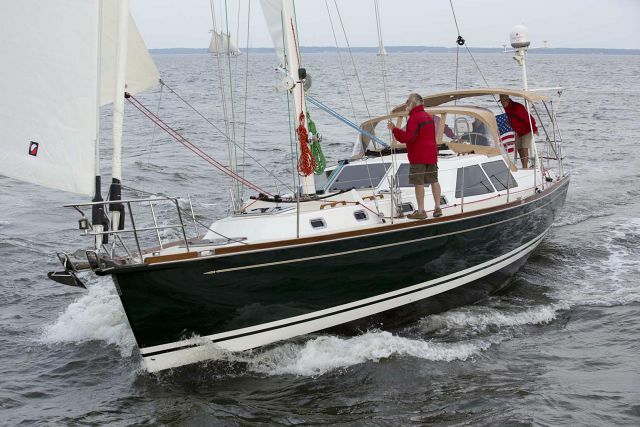 Tartan’s deck construction produces a lightweight, yet stiff and strong, deck structure, further complimenting the her excellent overall sailing characteristics. 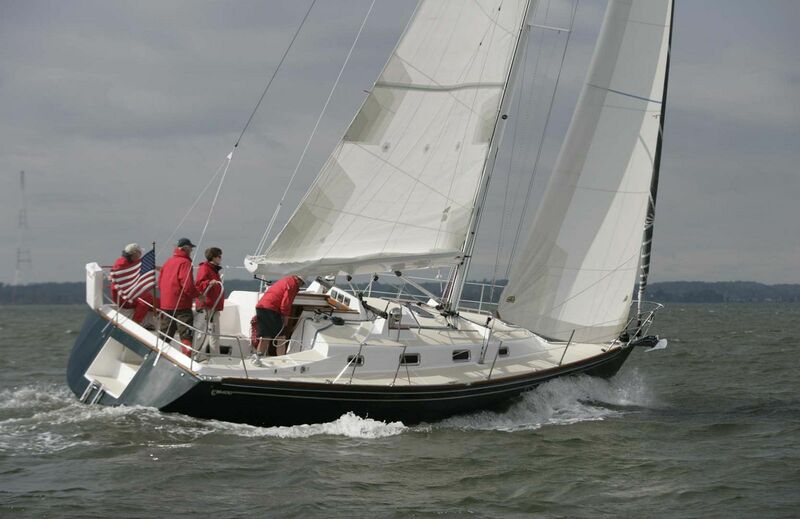 By optimizing the Tartan 345’s strength and weight characteristics and designing an easily driven hull, the Tartan 345’s standard headsail can be a smart, roller-furling 100% jib, trimmed to a self-tacking cabintop track. 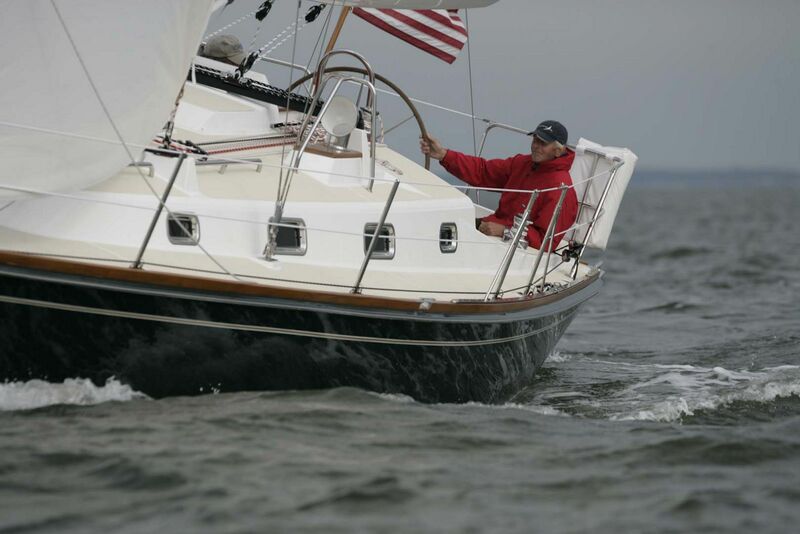 This working sail with the tack located just aft of the stem, is used for all upwind and heavy-air sailing while providing effortless tacking for sailing shorthanded or in a confined harbor. 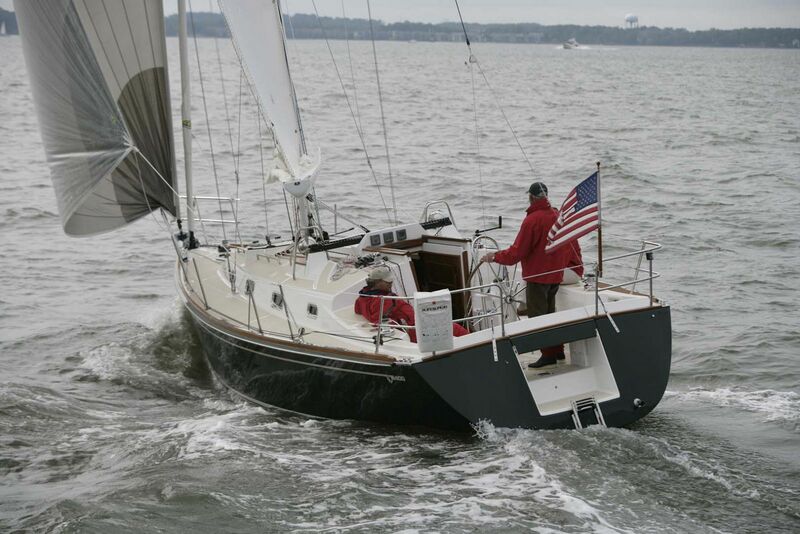 When sailing off-wind, the optional high-clewed furling reacher can be deployed for top performance. 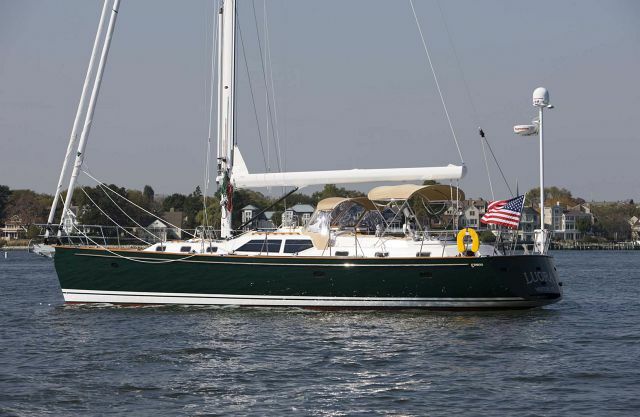 The 345 pays tribute to her pedigree by embracing the strengths of her predecessors, while capitalizing on leading-edge construction techniques. 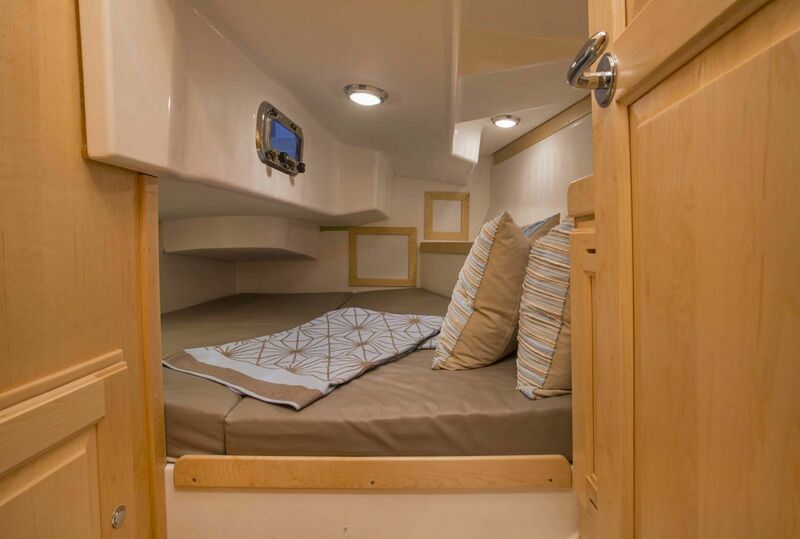 She goes above and beyond by offering plush accommodations, carbon mast and boom, a mainsail that raises and drops from its own cocoon with a roller furling, and a self-tacking 100% jib that defines simplicity. 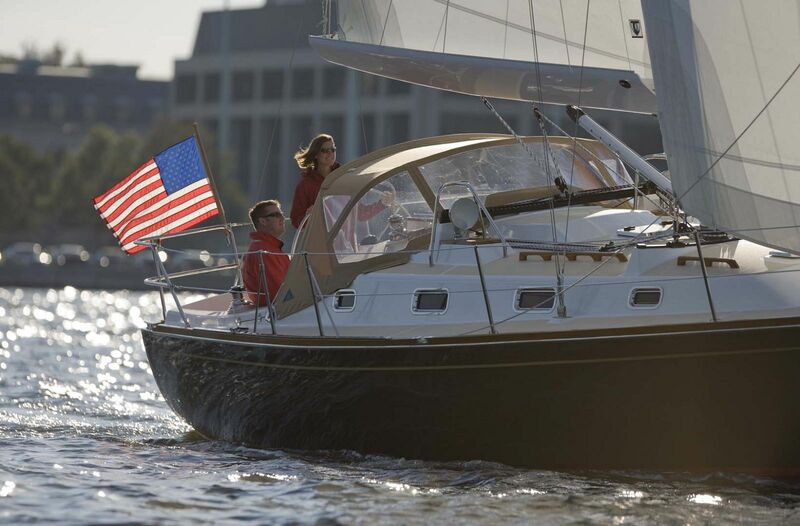 The 345 even offers a choice of three different keel configurations. 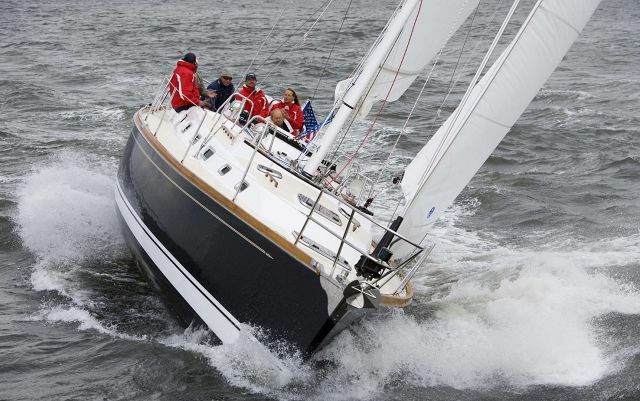 Optimal performance with minimal hassle, the way sailing should be. 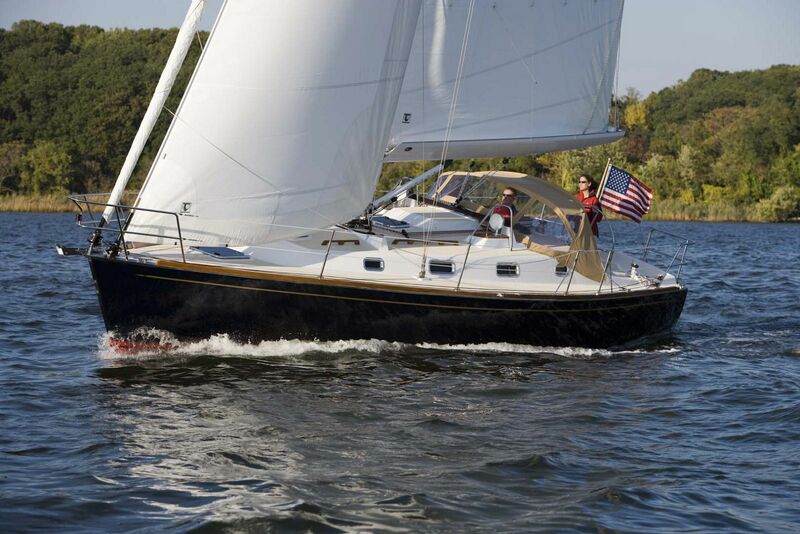 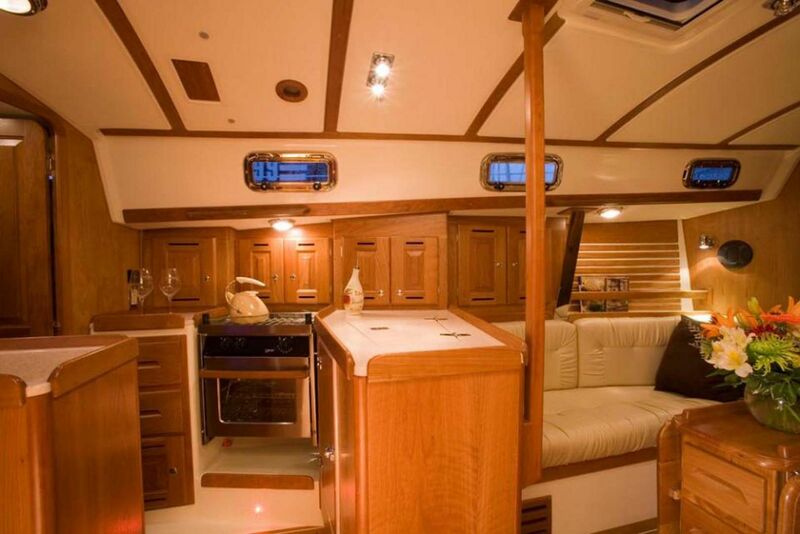 To learn more about the Tartan Yachts 345 Sailboat, please contact your Seattle Yachts Sales Professional today. 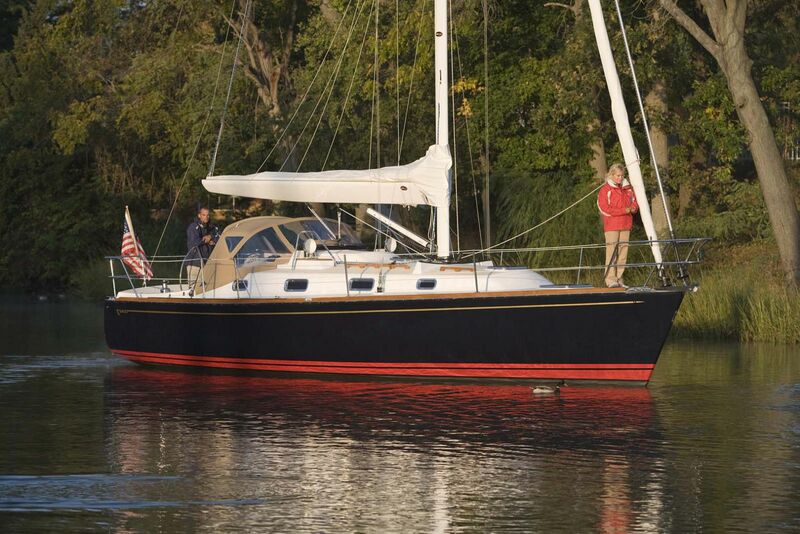 Water Tank Capacity: 60 Gal.